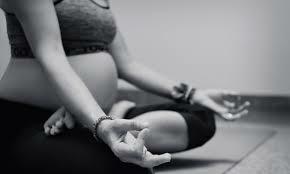 Join Molly McDermott, certified prenatal and postpartum yoga instructor, for prenatal yoga and education. Learn yoga poses to help with common ailments in pregnancy, while stretching and strengthening to aid in the birthing process. We also practice breathing techniques, sounding, meditation and relaxation skills. At the end of each class, we will cover various topics to help you prepare, and be aware, in order for you to have the birth you desire. Preregistration strongly encouraged. Drop-ins are welcome.